Guy H Bernays was born before 4 April 1880 in Durham. He was the son of Arthur Edwin Bernays and Edith Durham Henderson. Guy was recorded in the census of 3 April 1881 living in 25 North Bailey, Durham. He was enumerated as Guy H Bernays, son of Arthur E Bernays, age 1, born in Durham, Co Durham. Henry Arthur Bernays was born before 26 September 1852 in Charlton, Kent. He was the son of Edwin Arthur Bernays and Eleanor Jane Irvine. Henry was recorded in the census of 7 April 1861 living in 21 Meyrick Street, Pembroke Dock, Pembrokeshire, Wales. He was enumerated as Henry A Bernays, son of Edwin A Bernays, unmarried, age 8, scholar, born in Charlton, Kent. Henry was recorded in the census of 2 April 1871 living in 1 Buckingham Terrace, West Ham, Essex. He was enumerated as Henry A Bernays, lodger, unmarried, age 18, clerk to timber merchant, born in Charlton, Kent. He lived in St John's, Stratford, Essex, on 25 September 1875. He was a manufacturing chemist on 25 September 1875. He married Alice Mary Hardy, daughter of Thomas Hardy, on 25 September 1875 in Parish Church, Cowley, Middlesex. Herbert Leopold Bernays was born before 8 April 1854 in Charlton, Kent. He was the son of Edwin Arthur Bernays and Eleanor Jane Irvine. Herbert was recorded in the census of 7 April 1861 living in 21 Meyrick Street, Pembroke Dock, Pembrokeshire, Wales. He was enumerated as Herbert L Bernays, son of Edwin A Bernays, unmarried, age 7, scholar, born in Charlton, Kent. Herbert was recorded in the census of 2 April 1871 living in Her Majesty's Dockyard, Chatham, Kent. He was enumerated as Herbert Leopold Bernays, son of Edwin Arthur Bernays, unmarried, age 16, student of medicine, born in Charlton, Kent. He witnessed the marriage of Henry Arthur Bernays and Alice Mary Hardy on 25 September 1875 in Parish Church, Cowley, Middlesex. Herbert Leopold Bernays married Sarah Jane Weston circa November 1879 in Greenwich, Kent. Herbert was recorded in the census of 3 April 1881 living in 13 Church Lane, Charlton, Kent. He was enumerated as Herbert L Bernays, head of household, married, age 35, S S G London & general practitioner, born in Charlton, Kent. He was the official informant of the death of Edwin Arthur Bernays on 27 September 1887 in 2 Victoria Road, Worthing, Sussex. Herbert Leopold Bernays lived in Rivoli, Old Charlton, Kent, on 27 September 1887. Herbert was recorded in the census of 5 April 1891 living in Rivoli, Church Lane, Charlton, London. He was enumerated as Herbert L Bernays, head of household, married, age 37, doctor (medical), neither employer nor employed, born in Charlton, Kent. Herbert was recorded in the census of 31 March 1901 living in 59 Church Lane, Charlton, London. He was enumerated as Herbert Leopold Bernhays, head of household, married, age 46, medical practitioner, own account, born in Charlton, Kent. He was a Member of the Royal College of Surgeons on 17 April 1902. He died on 17 April 1902 in St Thomas's Hospital, Lambeth, London. Herbert died of oesophageal obstruction (malignant) and exhaustion. He was buried on 22 April 1902 in Charlton Cemetery, Charlton, Kent. Leopold John Bernays was a clerk in holy orders. He was born on 28 December 1820. He was the son of Adolphus Bernays and Martha Arrowsmith. Leopold John Bernays married Mary Gorton, daughter of John Gorton, on 20 June 1846 in St Thomas Chapel, Hackney, Middlesex. Leopold John Bernays was the officiating minister at the wedding of George William Harris and Cecil Georgiana Bernays on 14 August 1847. Leopold John Bernays was the officiating minister at the wedding of Albert James Bernays and Sidney Ham on 17 April 1852. Leopold John Bernays was the officiating minister at the wedding of William Charles Hussey Jones and Ellen Bernays on 25 November 1854. Leopold was recorded in the census of 7 April 1861 living in Rectory, Great Stanmore, Middlesex. He was enumerated as Leopold J Bernays, head of household, married, age 40, Rector of Parish of Great Stanmore, born St Sepulchre's, London. He was nominated as Executor of the Will of Adolphus Bernays on 5 May 1862. Leopold John Bernays was the official informant of the death of Adolphus Bernays on 22 December 1864 in Rectory, Great Stanmore. Leopold was recorded in the census of 2 April 1871 living in Rectory, Great Stanmore. He was enumerated as Leopold J Bernays, head of household, married, age 50, Rector of Great Stanmore, born in London, Middlesex. He witnessed the marriage of Arthur Edwin Bernays and Edith Durham Henderson on 27 December 1877 in Parish Church, Ashford Carbonell, Shropshire. Leopold was recorded in the census of 3 April 1881 living in The Rectory, Church Road, Great Stanmore, Middlesex. He was enumerated as Leopold John Bernays, head of household, married, age 60, clergyman, Rector of Great Stanmore, born in London, Middlesex. He died on 25 October 1882 in Great Stanmore, Middlesex, at age 61. Leopold died of diabetes (5 years) and apoplexy (instant death). Lewis Adolphus Bernays was born on 3 May 1831 in London. He was the son of Adolphus Bernays and Martha Arrowsmith. Lewis Adolphus Bernays married Mary Ann Eliza Borton on 28 November 1851 in Dunedin, Otago, New Zealand. Lewis Adolphus Bernays died on 22 August 1908 in Brisbane, Queensland, Australia, at age 77. Octavius Bernays was born on 8 August 1828. He was the son of Adolphus Bernays and Martha Arrowsmith. Octavius Bernays died on 15 February 1831 at age 2. Sidney Adolphus Bernays was born on 7 February 1853 in Derby, Derbyshire. He was the son of Albert James Bernays and Sidney Ham. Sidney was recorded in the census of 2 April 1871 living in 112 Stockwell Park Road, Lambeth, Surrey. He was enumerated as Sidney A Bernays, son, unmarried, age 18, medical student, born in Derby, Derbyshire. He died in 1903. Stewart Frederic Lewis Bernays was born on 3 October 1866 in The Rectory, Great Stanmore, Middlesex. He was the son of Leopold John Bernays and Mary Gorton. Stewart was recorded in the census of 3 April 1881 living in The Rectory, Church Road, Great Stanmore, Middlesex. He was enumerated as Stewart Fredk Lewis Bernays, son of Leopold John Bernays, unmarried, age 14, rector's son, born in Great Stanmore, Middlesex. He was the official informant of the death of Mary Bernays on 18 November 1882 in Great Stanmore, Middlesex. Walter Evelyn Bernays was born on 25 September 1857 in Paddington, Middlesex. He was the son of Albert James Bernays and Sidney Ham. Walter Evelyn Bernays died circa May 1873 in Lambeth, Surrey. Frederick William Berry was born circa August 1881 in Bristol, Gloucestershire. He was the son of John Berry. Frederick was recorded in the census of 31 March 1901 living in 25 Conduit Place, Bristol, Gloucestershire. He was enumerated as Fredk W Berry, son of John Berry, single. age 19, laborer cocoa manfy, worker, born in Bristol, Gloucestershire. He and Blanch Louise Downham lived in 6 Graham Road, Easton, Bristol, Gloucestershire, on 12 September 1908. Frederick William Berry was a labourer on 12 September 1908. He married Blanch Louise Downham, daughter of William Downham and Phoebe Poole, on 12 September 1908 in All Hallows Parish Church, Easton, Bristol, Gloucestershire. Frederick William Berry died on 3 March 1973 in Vancouver, British Columbia, Canada. John Berry died before 12 September 1908. Her married name was Brooks. Mary Jane Berry married Henry Thomas Brooks. Susannah Bird was born in 1792 in Southwark, Surrey. She married Edward White, son of George White and Mary (? ), on 10 January 1813 in Christ Church Greyfriars, Newgate Street, London. As of 10 January 1813 her married name was White. Susannah was recorded in the census of 6 June 1841 living in 73 Lambs Conduit Street, Holborn, Middlesex. She was enumerated as Sussanah White, age 45, not born in Middlesex. Susannah was recorded in the census of 30 March 1851 living in 73 Lambs Conduit Street, Holborn. She was enumerated as Susanah White, wife of Edward White, married, age 59, born in Southwark, Surrey. Susannah was recorded in the census of 7 April 1861 living in 73 Lambs Conduit Street, Holborn. She was enumerated as Susannah White, wife of Edward White, married, age 69, born in Southwark, Surrey. Susannah was recorded in the census of 2 April 1871 living in St Scholastica's Retreat, Clapton, Middlesex. She was enumerated as Sussanah White, head of family, widow, age 79, annuitant, born in Southwark, Surrey. She died on 8 March 1877 in St Scholastica's Retreat, Kenninghall Road, Clapton, Middlesex. Susannah died of bronchitis (5 days), senile decay and exhaustion. Adam Aikman Black was born before 18 October 1895 in Sydenham, Christchurch, Canterbury, New Zealand. He was the son of James Aikman Black and Agnes Ewart Short. Adam Aikman Black was a motor engineer on 17 October 1922. He married Annie Wrather Kay, daughter of Joseph Kay and Mary Elizabeth Wrather, on 17 October 1922 in Methodist Church, Sydenham, Christchurch, Canterbury, New Zealand. Her married name was Rankin. Minnie Blackburn married Norman Hugh Rankin, son of Hugh Rankin and Emma Nora Jackson. Her married name was Star. Patience Blackburrow was born in 1770. She married Levi Star, son of Thomas Star and Ann Norvill. Patience Blackburrow left a will on 5 February 1839 in Cheddar, Somerset. She was buried on 4 November 1842 in St Andrew's Parish Church, Cheddar, Somerset. Charles Albert Blackwell was born before 1 June 1917. 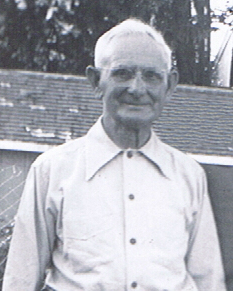 He married Florence Harriet Jeffery, daughter of Thomas George Jeffery, circa August 1941. Charles Albert Blackwell was a Sergeant (Pilot) 228 Squadron Royal Air Force Volunteer Reserve on 31 May 1942. He died on 31 May 1942. Ada Edith Blanchard was born on 12 September 1859 in Rainton, Yorkshire. She was the daughter of John Blanchard and Sarah Smith. Ada Edith Blanchard was christened on 11 March 1860 in St James Parish Church, Baldersby, Yorkshire. Ada was recorded in the census of 7 April 1861 living in Rainton. She was enumerated as Ada Edith Blanchard, daughter of John Blanchard, age 1, born in Rainton, Yorkshire. Ada was recorded in the census of 2 April 1871 living in Rainton. She was enumerated as Ada E Blanchard, daughter of John Blanchard, age 11, scholar, born in Rainton, Yorkshire. Ada was recorded in the census of 3 April 1881 living in Village Street, Rainton, Yorkshire. She was enumerated as Ada E Blanchard, daughter of John Blanchard, unmarried, age 21, dressmaker, born in Rainton, Yorkshire. Ada was recorded in the census of 5 April 1891 living in Rainton. She was enumerated as Ada E Blanchard, daughter of Sarah Blanchard, single, age 31, born in Rainton, Yorkshire. Ada was recorded in the census of 31 March 1901 living in Rainton. She was enumerated as Ada E Blanchard, daughter of Sarah Blanchard, single, age 41, born in Rainton, Yorkshire. Ada was recorded in the census of 2 April 1911 living in Rainton. She was enumerated as Ada Edith Blanchard, daughter of Sarah Blanchard, age 51, single, working at home, born in Rainton, Yorkshire, British nationality. She died on 3 February 1921 in Rainton at age 61. Ada died of pelvic malignant growth (3 months) & secondary hepatic growth. She was buried on 7 February 1921 in St James Parish Church, Baldersby.